RSS is one of technology that are simple and powerful. RSS is the de facto standard for blog syndication. It is used widely for personal and corporate usage in blogs. 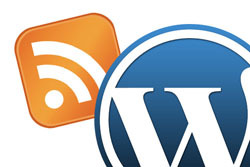 Large percentage of blogs runs on WordPress. We will cover in this post some useful RSS-related plugins and tricks that will help you use RSS in effective way. Fedafi was a comercial web based application that you can easily install on any web sites using simple web based installer. Fedafi allows to easily create any RSS feeds and iTunes compatible RSS podcast feeds using the simple web-based RSS generator. Customers was able to create, manage, market, track own unlimited number of RSS feeds all on domain name. Create password protected RSS/RSS2.0 and podcast feeds. Use Stream Distribution to track external RSS feeds. Collect and watch statistics for RSS feeds - total hits, clicks on article links, unique hits, links within articles. For Podcasts and external feeds it can track unique and total hits. Choose to publicize articles added to feeds by auto pinging major blogs search engines like Technorati, blo.gs and weblogs.com. Warning: Fedafi RSS is no longer support and can't be purchased. This is only information page about Fedafi product.